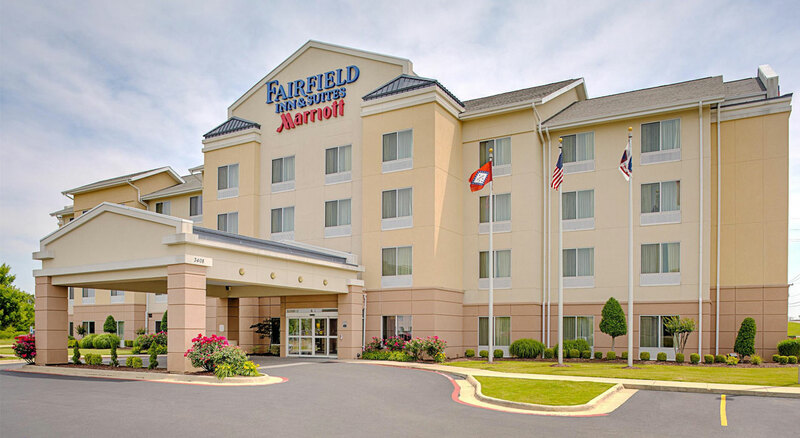 As the only Marriott in town, we are pleased to continue the tradition of superior service and hospitality. Our guests love our contemporary style and bright décor plus clean, fresh rooms. All rooms include a complimentary, hot buffet breakfast, microwave, refrigerator, coffee makers, internet service, and more. Located just off of Stadium Boulevard, we are close to industry leaders such as Trinity Rail, Teletech, Post Foods, Pepsico, Unilever, Nestlé, Nicepak, Frito Lay, Riceland Foods, Hytrol Conveyor, and others. As proud supporters of ASU, feel free to make us your home away from home while cheering on the Red Wolves. Or if you're here to shop, Turtle Creek Mall is 3 miles away plus other wonderful locally owned boutiques. Nearby dinner options include O’Charley’s, Colton’s, Omar’s 501 Club Steakhouse, and Red Lobster. Outback, Chili’s, Brickhouse Grill, Godsey’s Grill and Olive Garden are just a quick drive, too.